Feeling the sting of betrayal, Emma freezes Evie out. Evie is full of regret, desperately sorry, sad, and-for the first time in her life-entirely alone. Then Evie meets Theo, a boy who offers her a view of the world through a different lens. Just as she lets herself fall for Theo, Emma resurfaces-but not without consequence. Emma's erratic behavior, drunken mishaps, and panicked phone calls leave Evie afraid there's something deeper going on. Evie wants to help Emma, but Emma is bent on self-destruction. All Evie wanted was her friend back-but can you help someone who doesn't want to be saved? 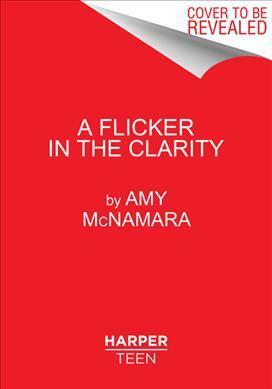 Amy McNamara is a writer whose poems have appeared in numerous journals and have been nominated for a Pushcart Prize. Her first novel, Lovely, Dark and Deep, won an ILA Children's and Young Adults' Book Award, was an ABC New Voices Pick, and was nominated as an ALA Best Book for Young Adults. When she's not reading stories, telling stories, or thinking about stories or poems, she can be spotted, camera in hand, documenting the incredible city she calls home. She lives in Brooklyn, New York. Visit her online at www.amymcnamara.com.